FANBOY PLANET.com . : Podcast Episode 404 :. The special episodes are here! First in a series of Comic-Con interviews! The most fun at Comic-Con is selfies with the STARZ! 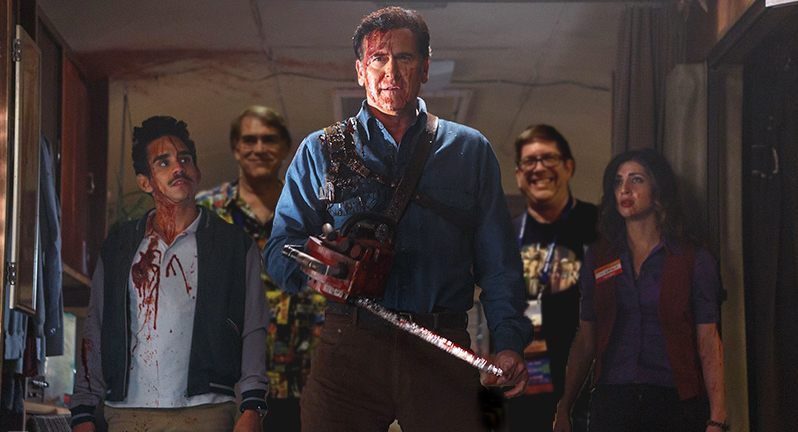 Episode 404: Fanboys vs Evil Dead! First in a series of interview shows from Comic-Con 2015! This episode highlights new television shows STARZ's Ash vs Evil Dead, and TV Land’s Teachers! Featuring Bruce Campbell, Lucy Lawless, Sam and Ivan Raimi, Katie Thomas, Cate Freedman, and Caitlin Barlow Plus a little Comic-Con controversy! !